Dark circles can really make you look bad. Imagine that your entire face is clean and glowing but those dark circles beneath the eyes are prominently visible. These circles can’t be covered with make-up easily making it difficult for you to look good. There are various reasons of getting those circles. This could be either of the alcohol or lack of sleep. Though, there are some natural ways of getting rid of these circles. Let’s have a look at them. Sleeping does help our body a lot. With this, a person’s entire body would get enough of rest. This would allow every organ to regain the lost power and energy. The lack of sleep can cause various troubles and the very first visible ones are the dark circles. One should make sure that she/he sleeps well and that too for a proper time so that the body as well the skin can also get a proper rest. 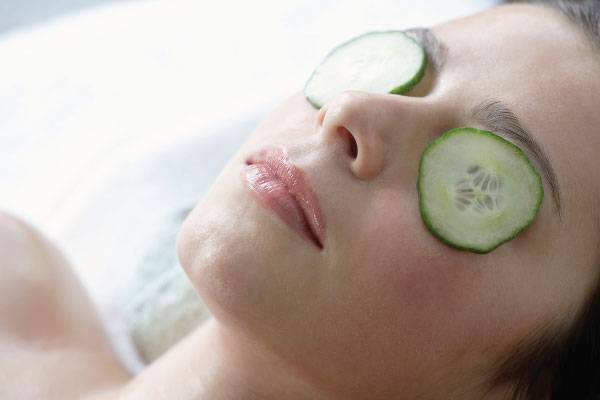 Cucumber or potato slices could also help you to get rid of the dark circle. All you’ve to do is keep a slice of either one in the eyes and keep it like that for at least 20 minutes. After that, wash your face with the warm water and apply cream. This is the most trusted and followed solution for the dark circle. Vitamin E capsule can work for few people and for all. 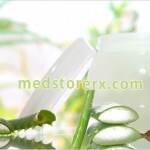 It is advised to consult the doctor before even you think of taking it. 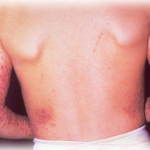 Often, the impure blood can also cause the dark circles. In such cases, include fresh vegetables and fruits in your diet so that the blood will be purified and can help you to treat dark circles. Sometimes, sweet tooth people have the greater chance of getting dark circles. For them, it is important that they control themselves a bit in order to have a dark circle free appearance. Lemon juice, orange lentil flour, puree of tomato and turmeric paste can be another option for dark circle treatment. All one has to do is keep the paste for 45 minutes in the affected area and then wash it off. Apart from the treatment, one should also care of the prevention. For prevention from it, one should not take alcohol or should not smoke. These impure the blood and thus it leads to the dark circles. Also, drink enough water so that the blood is toxic-free and you get the glowing skin. Not only that, having a proper slept in also important as that’s the most common reason of getting those dark circles. It is said that a person should get on an average of 8 hours of sleep. Along with a proper sleep, relaxing mind is also important. The stressful mind could trouble your eyes by dark circles. Sometimes, the weak skin would also be the reason behind it. 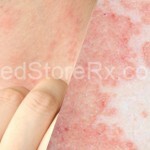 In such a case, prevent your skin from getting damaged by the harmful rays and pollution by taking proper care of it. Also, working continuously in front of the computer or system would harm your eyes and the nearby areas. For it, take a break and give rest to your eyes. No one wants a dark circle. This makes them look old and weak. But still, sometimes, due to our negligence or say other reasons, we get it. In such a case, it is important that we take a proper treatment so that we can get rid of it. Also, if your dark circle isn’t going even after these treatments, then visit a skin specialist and get yourself tested for the skin patch.